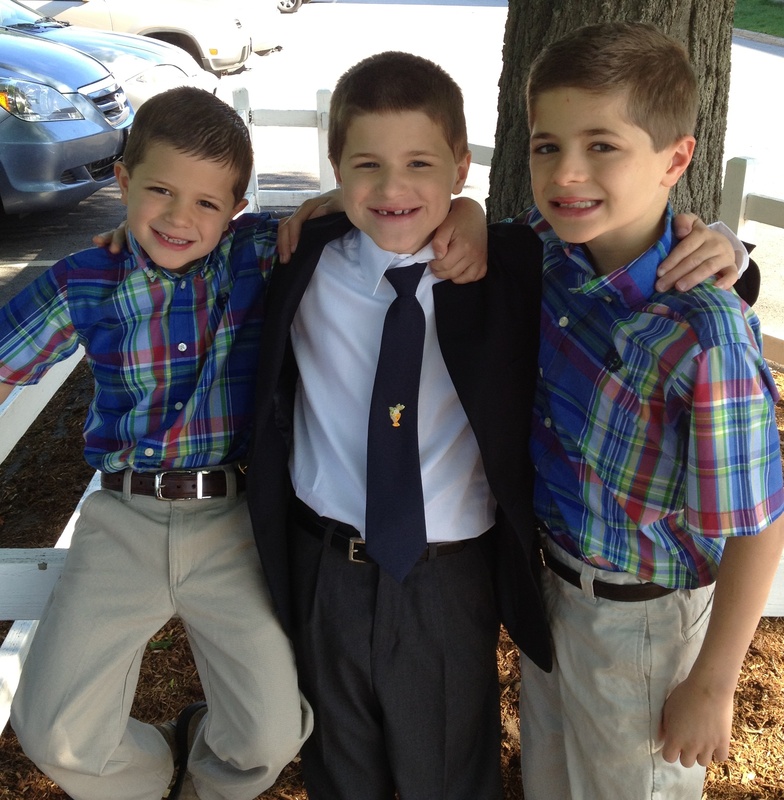 Jack made his First Communion on Saturday. As with anything with an autistic child, it wasn’t perfect. Oh, I had high hopes of him walking gallantly down the aisle, hands folded into prayer position, smiling serenely. Just one more step towards his journey to become normal. Well, he isn’t normal, and there’s nothing like a quiet church full of families and cameras to expose him. My image of our perfect First Communion started to fray around the edges early last week, when I took him to the rehearsal in the church. Something set him off on the way there, and he decided he wasn’t going. So, I all but dragged him in, whispering things in his ear like “You will do this!” and “Please get through this and I will buy you a doughnut!” as he screamed things like “I hate church!” and, inexplicably, “ I want to dye my hair red!” He said he was blind and walked in with his arms outstretched and his eyes closed, claiming “I can’t see anyone! They’re not here! It’s canceled!” Then he hid under the piano. All week I quelled a rising panic whenever I thought about how he would perform come Saturday. 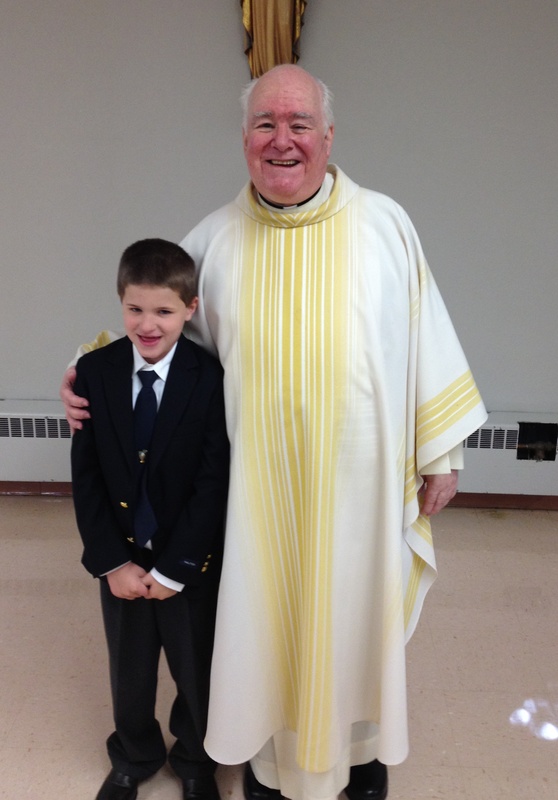 I spoke several times with the Director of Education for the church and we created contingency plans in the event that Jack wouldn’t walk down the aisle with his class, wouldn’t sit still during the homily, or wouldn’t receive communion. In short, if on Saturday he still had autism. Complicating the matter was the explanation that during First Communion, the host would transform from an ordinary wafer into Jesus himself. During the rehearsal, the children were counseled that Jesus would be in their mouths and bodies, and they should treat him respectfully. Literal boys like Jack, boys who start looking around wildly for giraffes when their mother announces that the Wal-Mart parking lot is a zoo, do not warm up to the idea of Jesus in their mouths. We did a lot of explaining. On Saturday morning he gamely put his new suit on and walked proudly to the car. He sat with his class in the half-hour before the ceremony, and even participated in the group picture. When it was time to line up, he stood in place and waited for the kids ahead of him to shuffle up the stairs. As I held my breath, he began the slow walk down the aisle with his partner, and turned into his assigned pew as Mass began. Joe and I were stationed right behind him so we could poke, prod, and if necessary, remove him if the self-stimulation in his body took over and he could no longer be still. We sat at attention, nervously watchful. And then Jack did what he so often does when we least expect it; he waved his magic wand of autism and gave the stressful morning a little sparkle. About two-thirds of the way through the ceremony, the choir began to sing “Lamb of God”. Jack turned over his shoulder to us, his face beaming, and loudly announced “This is my very favorite song of the whole day!” He turned back around in his seat and sang the verses at the top of his voice, with his hands rising and falling as the melody, and my heart, swelled. Mistakes were made, of course. On his way to receive communion, instead of placing his left hand over his right the way we practiced, practiced, practiced, he simply held out his left hand like he was expecting the priest to make change out of a dollar bill. Walking towards the pew he threw his head back and tossed in the host the way you might throw back some Chex-mix. As the invisible ants of self stimulation slowly crawled up his body, his rocking increased. And he wore his gym socks with his new shoes. Catholicism places great importance on the rituals and routines of Mass. When to genuflect, when to sing, how to place your hands. But amidst all the formality and the ceremony, the tradition and the fanfare, surely God left a little room for the very favorite song of the whole day. I know that from now on, I will. Bless you, my little lamb Jack. i love this! So proud of him!! Jack did an amazing job on Saturday! We were so proud of him! Sounds like a great day, Carrie! Congrats to Jack!